Azlina is the Senior Legal Counsel (In House) of Henry Goh Malaysia and heads the Prosecution Unit of the Trade Marks Department. She is well versed in providing clients with pre-litigation advisory work on trade mark, copyright and industrial design infringement, passing off issues and corporate IP due diligence. Her knowledge and skills further extend to securing trade description orders for enforcement work, consultancy work on franchise and licensing agreements, domain name registration and protection as well as a diverse range of IP-related matters. Azlina read Law at the University of Kent at Canterbury, United Kingdom, graduating with Honours. She started her legal practice at a leading law firm in Malaysia specializing in Intellectual Property and joined Henry Goh in 2004. She is a registered trade mark, patent, industrial design and geographical indication agent. She regularly represents the firm at major international conferences such as INTA, APAA and FICPI. Azlina has membership in various IP organizations such as the Malaysian Intellectual Property Association (MIPA), the Licensing Executive Society of Malaysia (LESM), the Malaysian Intellectual Property Alumni Association (MIPAA), the Asian Patent Attorneys Association (APAA) and is an alumni of the Association of Overseas Technical Scholarship (AOTS). She has participated in various training programs such as the JPO/IPR Training Course in Japan as well as IP Valuation and IP Business Basics courses organized by the IP Academy of Singapore. Her experience has received professional recognition and acknowledgment from her industry peers which include AsiaLaw’s Leading Lawyers (2012-2017), Malaysia’s Recommended Individuals for trade mark work in WTR 1000 (2012-2017) , IP Stars (2014-2016) and WIPR Leader 2016 & 2017. 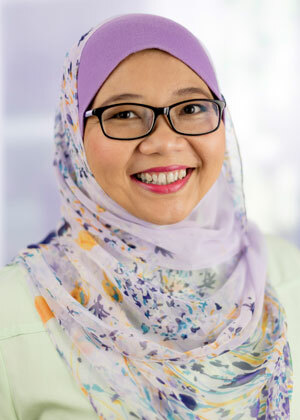 Her more notable works encompass providing counsel and litigation support services to one of the world’s biggest food and drink manufacturers for an industrial design infringement and being the lead agent handling a trade mark appeal case at the High Court of Malaya, which is now considered as good law in Malaysian trade mark practice. She has effectively coordinated numerous legal actions for clients in respect of IP infringement. Azlina is the Editor of the firm’s in house publication and often speaks at seminars organized by the firm for clients and the public. Since 2014 she has been regularly invited to speak on international platforms with papers presented in India, Japan and Thailand.